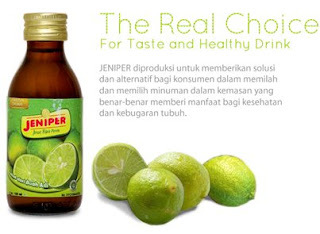 Health Drink Syrup Lime Squeeze or better known as its trade name JENIPER (jeruk nipis peras), was first produced in 1997 by having a production license from Ministry of Kes Kab. Brass - West Java No: SP 291/10.13/97. JENIPER manufactured to provide solutions and alternatives for consumers to pick and choose beverages in containers that are actually beneficial to health and fitness. Since the beginning of production, so close to the image JENIPER benefits, because the minds of consumers, Lime fruit has many benefits that has long been used as a component of routine needs in our life, such as cooking, health, beauty, etc.. In other words, the image of Lime fruit has strong entrenched deep in people's hearts. The fact above is the reason for us to continue to produce and develop while maintaining the identity of his natural drink made of fruit as original as processed products. In the course of many enthusiasts and connoisseurs who are interested and hope that Jeniper easily available in the market. So no wonder, if from time to time as Jeniper image-based drinks back to nature is becoming increasingly popular with the public. 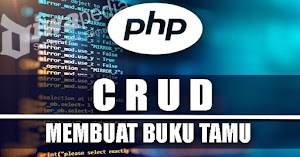 To support the production, as producers CV Mustika Flamboyant JENIPER have adequate infrastructure to support the acceleration of the process of production, ranging from washing machines to citrus fruits, citrus squeezer machine, purification and water sterilization system, charging system, until the process of finishing products for a product with UV Sterilization safe for consumption. Orange juice has been known to man since ancient. Organoleptic characters that stand out from the lime than other citrus fruits are very acidic taste that does not eat the lemon directly. Nevertheless, the use of lemon juice has been known for a long time, especially for traditional medicine and preventing stench of cooking. Orange juice has long been known to prevent and treat a variety of diseases such as influenza, cough, mucus in the throat, fever and malaria, slimming the body, dandruff, increase stamina, irregular menstruation (PERSI Information Data Center, 2005). Another source said lime is useful for treating tonsillitis, malaria, constipation, shortness of breath, influenza, cough, fever, constipation, delayed menses, mules abdomen during menstruation, dysentery, stomach pains, stomach nausea, fatigue, body odor, facial wrinkles. Besides other sources add that the content of various oils and substances in it, lime is used to overcome dysentery, constipation, diphtheria, acne, headache or vertigo, hoarseness, increase appetite, prevent hair loss, dandruff, flu, fever, illness Anyang-anyangan (painful urination), nosebleeds, and inflammation of the nose. Tart lemon flavor that can help clean up the nicotine contained in the teeth and the mouth of someone who likes to smoke. From the content of various oils and substances in it, lime is used to overcome dysentery, constipation, constipation, irregular menstruation, diphtheria, acne, dizziness or vertigo, hoarseness, cough, body odor, increase appetite, prevent hair loss, dandruff , flu, fever, too fat, tonsils, Anyang-anyangan disease (painful urination), nosebleeds, and inflammation of the nose Lime besides being a refreshing drink, it also contains medicinal properties. Lime (Citrus aurantifolia Swingle) contains a lot of water and vitamin C is high enough. Also contains citric acid, amino acids (tryptophan, lysine), essential oils (sitral, limonene, felandren, lemon camphor, kadinen, Gerani-lasetat, linali-lasetat, aktilaldehid, nnildehid) resin, glycosides, citric acid, fat, calcium, phosphorus, iron, sulfur, vitamin B1 and C. Tart lemon flavor that can help clean up the nicotine contained in the teeth and the mouth of someone who likes to smoke. From some recent research suggests, lime also has the benefit of preventing the recurrence of kidney stones, especially idiopathic calcium kidney stones. According to the report, consumption of lime can prevent kidney stones.